A five-member committee consisting of doctors assigned to inquire into the death of Ven. Maduluwawe Sobitha Thera yesterday informed court of its decision not to request an inquest or post mortem into his death. Earlier, the Court directed National Hospital Director Dr. Anil Jasinghe to appoint a special panel of doctors to investigate the death of Ven. 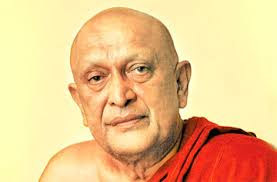 Sobitha Thera following a request made by the CID consequent to a complaint received from Ven. Uduwe Dammaloka Thera. In a complaint to the CID, the monk called for a probe.